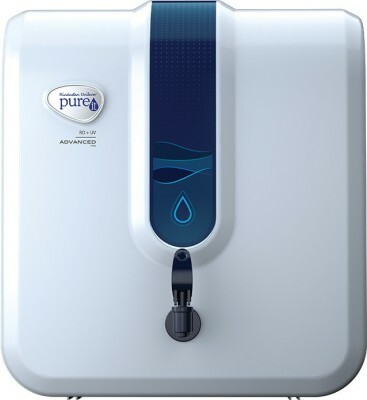 PureIt is an HUL branded water purifier and is one of the top-rated brands with the likes of Kent, Eureka Forbes. Here, we bring you the best PureIt Water Purifier available in India. This list of top 6 PureIt Water Purifier consist of RO and RO + UV purifiers, all of these have 6 stages of purification with different storage capacities and features. The good thing about these shortlisted purifiers in that, they can be installed in areas having TDS as high as 2000 as they are re capable of reducing the TDS in the filtered water to as low as 300 making it very safe and mineral rich for health. 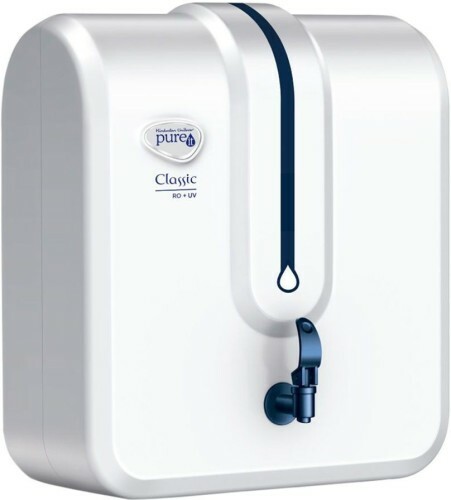 The price range of these best PureIt Purifier varies from 8000 to 18000 and contains the best water purifiers in different ranges like under 10000, under 15000 and under 20000 as well. The only UV water purifiers which were available earlier only purify the water but cannot reduce the TDS of the water, these RO purifiers come as the next generation purifier which can make any water safe for drinking. Some of these purifiers also have a mineralizer technology that adds the additional mineral needed by the body. So, without any further delay, let us take a look at Best PureIt RO water purifier, where we list each purifier with the brief reviews and specifications. Price and buy links are also provided but prices keep changing every day so please check the latest price by clicking on links provided. 1. Pre-Sediment Filter is the first stage of filtration process and it removes fine and coarse particulate impurities/dirt and improves the life of the carbon filter. 3. Post-Carbon Sediment Filter comes into action in the third stage and it removes remaining fine and coarse particulate impurities/dirt and improves the life of RO Membrane. 4. The fourth stage consists of RO Membrane which removes dissolved salts, hardness, pesticides and heavy metals like arsenic, lead, and mercury. It also removes microbial contaminants like bacteria, virus, and cysts. 6. Post-RO Carbon Filter is the sixth and the last level of purification. It acts as a polisher and enhances the taste of purified water. This 6 stage purification is very effective and can decrease the TDS of water from 1800 to less than 100 make it safe for drinking. The storage tank capacity is 5L which is decent. The storage tank is extremely helpful during power cuts. This Pureit water purifier has an automatic mechanism to switch on when water is less and switch off when it is full so you don't have to operate it manually. Overall a very good water purifier in the price range of under 10k in India. HUL branded PureIt Marvella 10 L RO + UV Water Purifier comes with Six Stage purification to remove particulate impurities, chlorine, pesticides and dissolved salts. This purifier has a taste enhancer with an additional sediment filter and No Annual maintenance charges(AMC). It follows a stringent US EPA standards of purification that can remove 1 Crore Virus in 1 Litre of water. It also adds minerals after purification to improve the taste of water. With its RO technology, its suitable for water from borewell, water storage tanks or the municipal water supply and can treat the water with TDS up to 2000. It reduces the TDS of water with its RO layer to a level which is safe and healthy for the body. This Purifier comes with 10L of water storage capacity and can deliver 15L of water output per hour. With its Germkill security kit inside the purifier, it alerts 15 days in advance in case of replacement required for the cartridges. It has auto start-stop and shut-off to make it hassle-free for usage. This is one of the best purifiers under 15000 price range. This PureIt Ultima RO+UV Water Purifier uses the RO purification feature has a 6-stage purification system. Since it operates on the RO principle of purification, it can reduce the TDS by a minimum of 90% to make it safe for drinking. It can process water from borewell, overhead tank, municipal supply or other sources with Maximum TDS 2000 ppm. It has a good storage capacity of 10L and can purify 3000 Litres of water (depending on the quality of input water) before any replacement of change in filter cartridges is required. Also if there is any fault that occurs or the cartridges require a replacement, the system alerts 15 days in advance using a smart alarm system. It has a detachable storage tank and auto start and shut off options for ease of usage. The product has 1 year of manufacturer warranty and is one of the best purifiers for both home and office usage. Pureit Marvella with Fruit and Veg Purifier RO + UV Water Purifier, as the name suggests performs water purification and can also be used as Fruit and Veg Purifier. It is a purifier with 6-stages of purification and has RO + UV Purification with GermKill Technology. It comes with a storage tank of 8L and is build with a Food safe Engineering Grade Plastics. With its RO technology, it can treat water with TDS level up to 1800 ppm, you can measure the TDS level of the water using this device. HUL PureIt Marvella has water outflow rate of 0.2L/min and can filter 12 L of water in an hour. Depending on the source of water and impurities in water supply in your area, the filters in this water purifier can filter approx 3000 L of water. It comes with 1 Year Warranty on Manufacturing Defects. The purifier will give you alarm notification for when a change in cartridges is required and has smart indicators for storage tank full and fruit and veg purification. Pureit Advanced RO Water Purifier is a compact 6 stage water purifier with a storage capacity of 5L. It offers similar performance in terms of water quality but is small and portable suitable for small homes or offices. It uses RO purification mechanism and is capable of purifying water from all the sources with TDS up to 1800 ppm. It can output around 12L of water in an hour. Though its size is small, it features everything in terms of purification that other purifiers come with. It meets stringent International Criteria for Microbiologically Safe Water and can remove 1 Crore Virus (Removes 1 Crore Virus in 1 L of Water). It also has Auto Start, Auto Stop features to keep you at ease. Its 6-stage purification comprises of RO membrane that is responsible for removing the hardness of the water and reduce the TDS to safe drinking levels. This purifier also has a micro-charged membrane which provides double protection to the water purification process. The storage capacity is just 5L so buy it only if you don't get frequent electricity cuts in your area. Overall, it is a good value for money water purifier under Rs. 10000. So this was our list of best PureIt RO Purifiers in India. We hope it was helpful and you were able to find a suitable water purifier for your home or office. Take a look at some of our other articles where we have covered best water purifiers under 10000, 15000 and 20000.